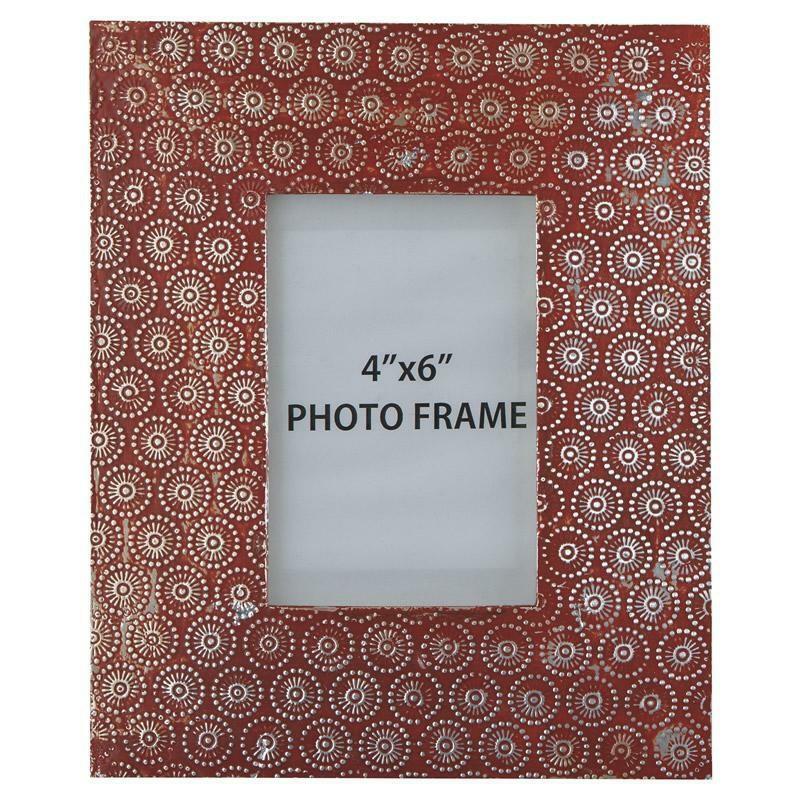 Signature Design's Bansi metal photo frame with stamped details injects a fun and fresh splash of style into your space. Vibrant hue is enhanced with gently distressed accents for natural appeal. 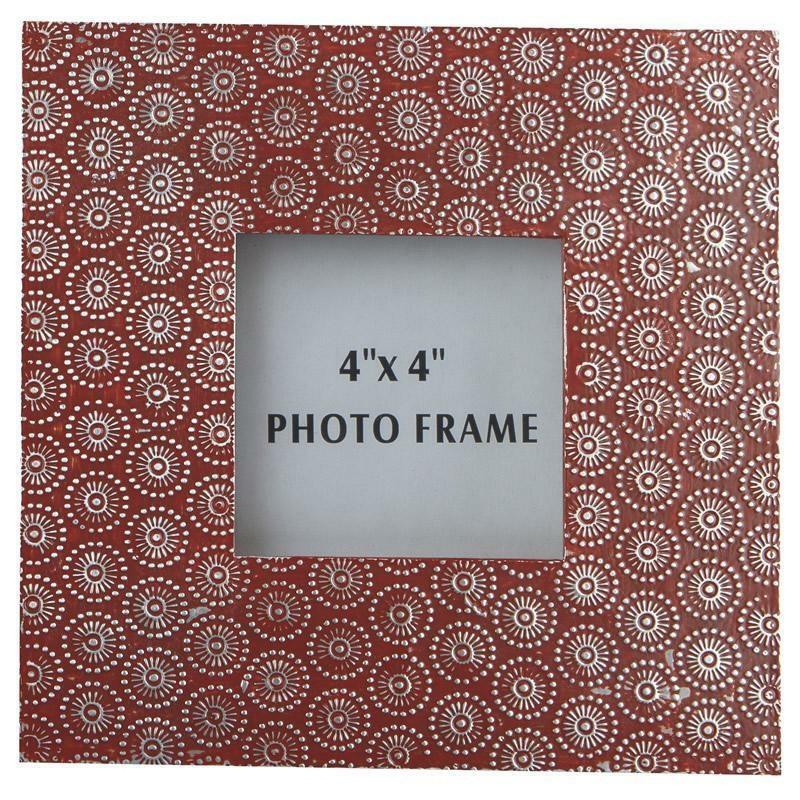 Set of 2. 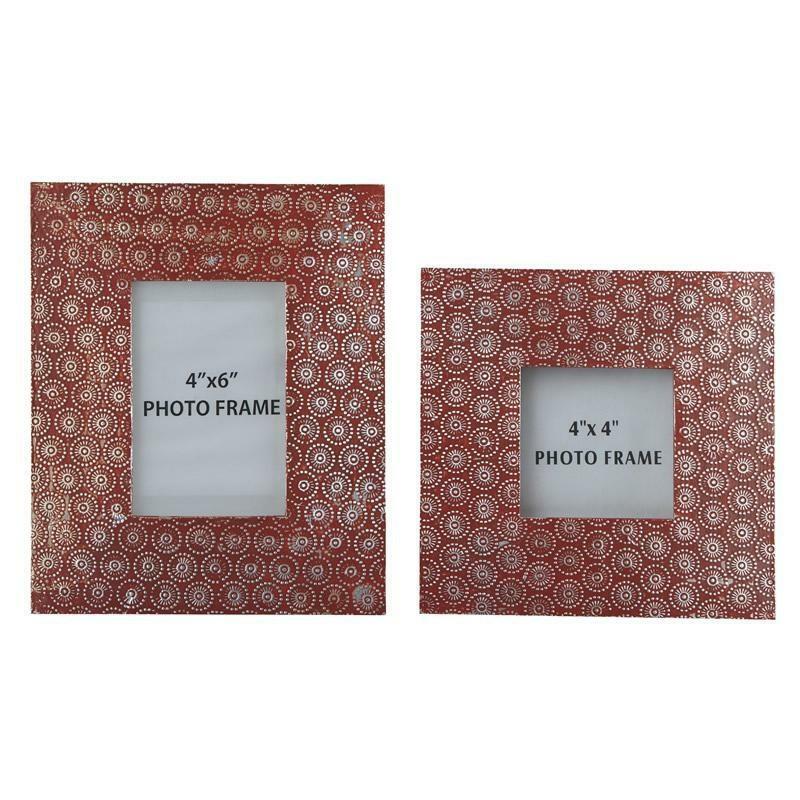 Additional Information Set of 2 photo frames (4" x 4" and 4" x 6"); Orange finished metal; 4"x6" photo frame 8.50" x 5.60" x 10.00"; 4"x4" photo frame 8.00" x 5.20" x 8.00"